We firmly believe, and one of our core values at Joseph Decuis, is what we term Culinary Diplomacy. We believe that food can help bring the world together and this series of culinary dinners is a way to do just that. Try something new and different; meet people from other parts of the world; experience different cultures and hear about their foods and traditions. Our inaugural dinner for this series was in October 2018 and we celebrated cuisine from Nigeria with Nkonye Mawalu and the local Nigerian Association. It was an astounding success and in December we celebrated Taiwanese foods and culture with Rosa Ko with great fun and enthusiasm. Thank you to the many people who supported these dinners. We are honored to be friends with the Buddhist monks at the Gaden Khachoe Shing Monastery near Bloomington, Indiana and they have graciously agreed to host our next dinner on January 18. We view this night as pre-celebration of Losar, their New Year's, which takes place this year on February 5, and is their most important day of their calendar. We are doubly honored. Our chefs will work with the monks from the Gaden Khachoe Shing Monastery and some of their followers in designing the menu and learning how to make their traditional foods and flavors. The monks will help in some of the preparations and will be here to share in this celebratory evening. We look forward to hearing more about their culture and understanding their tradition. We hope you can join us. All inclusive: $65 per person. Includes: welcome cocktail and appetizers, dinner, tax and gratuity. 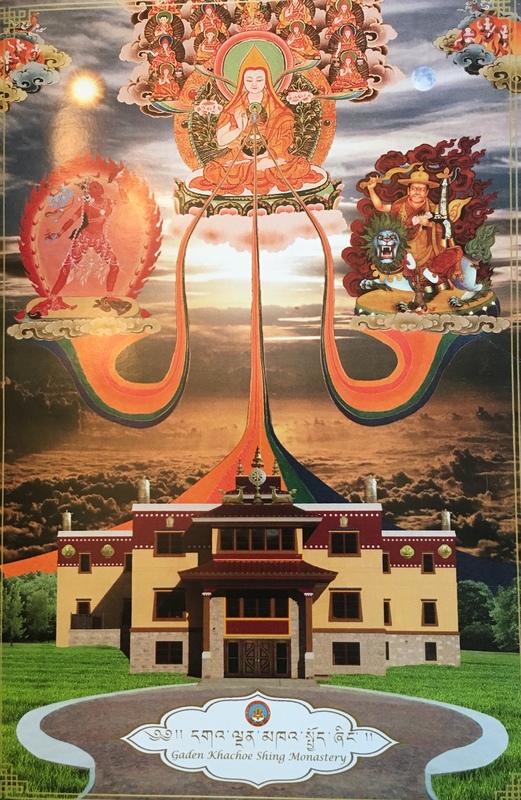 *** Also included is a $10 donation to the Gaden Khachoe Shing Monastery near Bloomington.